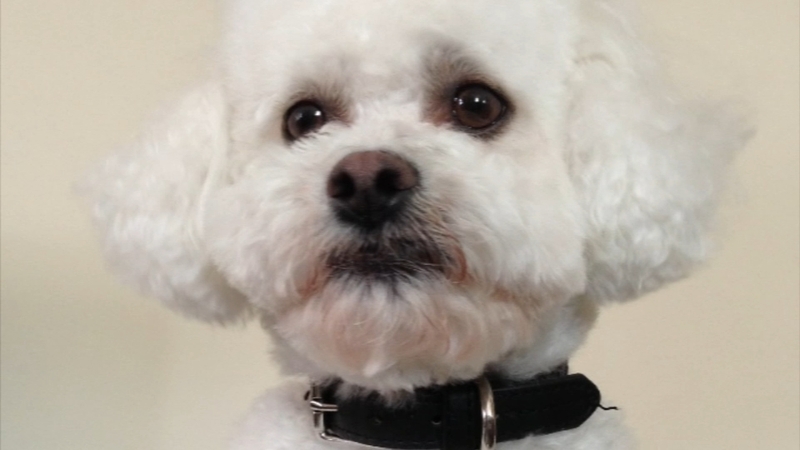 PHILADELPHIA, Pennsylvania -- Jason Colucci's Bichon Frise 'Champ' was a well-loved and cherished furry family member. On December 26, Colucci was walking Champ when he says they were attacked by two pit bulls that jumped from a neighbor's first-floor window. Collucci said the minutes stretched on as he was being attacked. He ran inside, trying to protect Champ and call for help. "I was running, kicking -- just trying anything I could," said Colucci. "Came here screaming for my life, banging, saying someone God please help me." Colucci's landlord tried to intervene and was also bitten. They said the two dogs were only satisfied after the small dog's death. "At one point I thought my thumb was going to be ripped completely off, as it was in the mouth of a pit bull," he said. "There was nothing I could do. They took my dog's life." When help did arrive, they grabbed the dogs. "The police finally got the dogs into the police car and then I was taken to Torresdale Hospital," said Colucci. Colucci suffered defensive wounds to his arms and hands. Although he was told the dogs would be quarantined for one week, at least one is reportedly back at home in the very same window they jumped out of. Animal control has not responded to requests for comments as of this time.